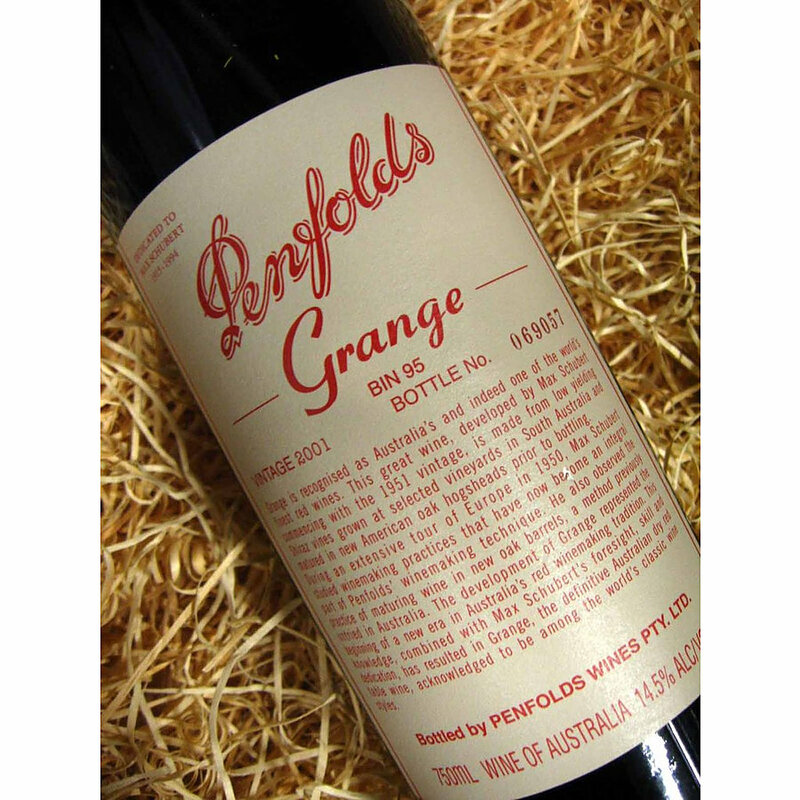 5	stars -	"Review for Penfolds Grange Vintage 2001 750ml" Dale Carter This Penfolds Grange Vintage 2001 750ml is the best Wines Red I have tried. style is the original and most powerful expression of Penfolds multi-vineyard, multi-district blending philosophy. soil moisture, and vineyards without water suffered. Rain in mid-March provided relief and vineyards produced shiraz with excellent, ripe fruit flavours. COLOUR Deep, dark and dense, retaining bright purple hues. NOSE The nose is immediately Grange, revealing barrel ferment complexities soaked in dark berried fruits. Vibrant, youthful and lifted, a mix of tightly packed liquorice, freshly tanned leather and dark spices create a poised, controlled and distinctive wine.